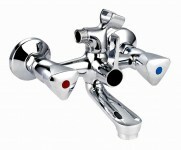 Kitchen mixer – Top outlet. Kitchen mixer – Bottom outlet. 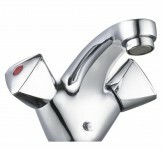 Bath mixer with hand shower.